Well, doing some awesome campfire hacks actually! I have always liked hacking ideas, and these campfire hacks I have found and used are just my favorite, hence why I’m sharing them with you all today. Want to take your bush crafting skills to the next level? You need to try this hot coals temperature hack. Add or remove hot coals as you wish, more for hot, and less for a more slow-cook approach. This one is an oldy but a goody, and best used when prepping meals beforehand. 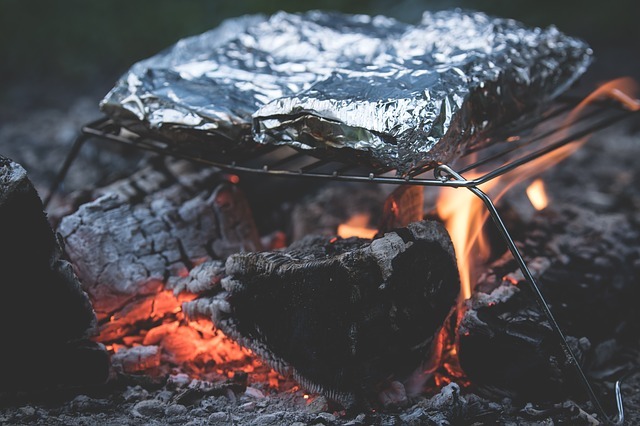 Whatever you want to cook over the campfire, whether it be popcorn, breakfast burritos (Opens in a new tab), or baked potatoes, simply place the prepped meal inside tinfoil and tightly wrap it up. When you’re ready to cook, place it over hot coals or the tray and cook until desired. One way to get the attention of rescuers is to change the color of your campfire, of course it is best used with more wood on the fire for a larger flame, along with a different color for your current background. You’re also more likely to be found when in open terrain. Red is the international distress signal, however any color will do the trick. Your time is very limited and all time you have is precious. So think fast, act in a calm matter and you will do good. I found the perfect guide for different colors, here it is. If you like the idea of a self-burning campfire that’s capable of burning for 14+ hours then I have got a great hack for you. 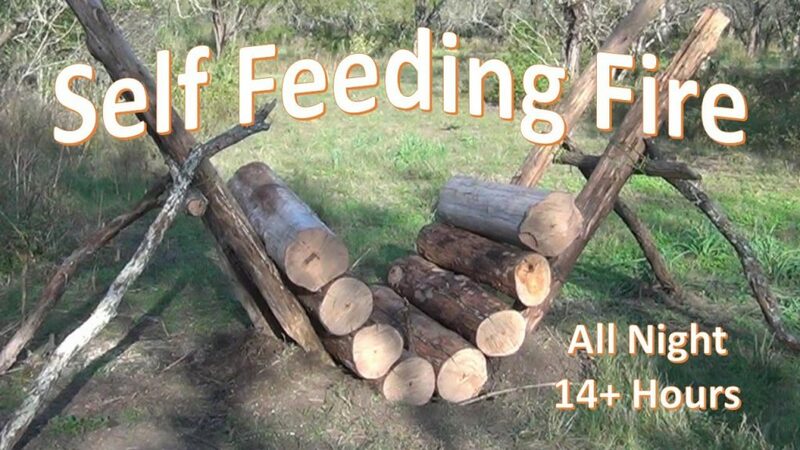 This self-feeding campfire hack is not from me, but designed and built from a man called Bob Hansler and has his own YouTube channel, if you want to check out all of his videos > click here. Of course I find this size a bit overkill, you can simply build a smaller version if you don’t have enough time and probably still get up to 7+ hours out of the smaller version. A cooking tripod is one of the most helpful cooking equipment’s out there, in regards to the outdoors (that’s what I think anyway). The beauty of this piece of equipment? You can make one on-the-go while you are out in the wilderness, great for someone who is lost and trying to survive. Camping is a great journey to embark on, even better (and safer) with friends and family. 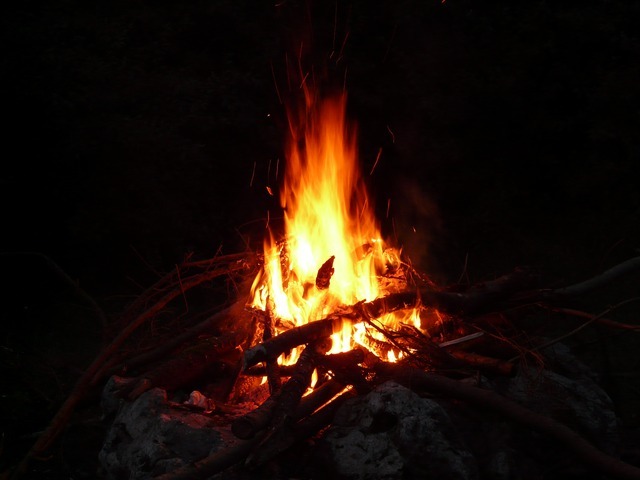 One tip I can give you – for ANYONE who decides to mission on into the wilderness, you need to always be prepared for anything, meaning you should always take a type of ingredient to change your campfire color in case you need a distress signal, even if it’s just 1, that can make a huge difference if you ever need to use it. More time to have fun in the great outdoors! 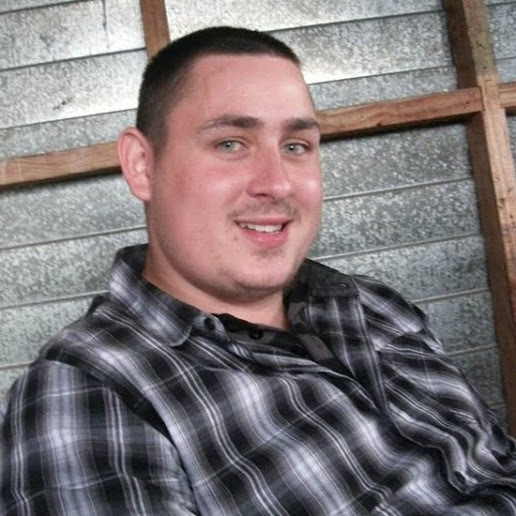 If you found this article helpful please leave a comment below and tell me what you think. For someone who haven’t started a fire before in my life, I’ve definitely learned much from your post, especially on the lighting up fire for distress. But how do you alter the color of the fire? Some really awesome camp fire hacks shared here. I am not competent enough yet with making fires probably because of a lack of experience but these hacks are extremely useful. Just make sure you keep it in an open field and away from trees (lol). As someone who loves the outdoors, the smell of forest and really enjoy eating my food made by open fire I also love sleeping in my bed. Your hacks are brilliant I had no idea about the “change colour of the fire when in distress”-thing and that made me curious. Is that some kind of dye or something that actually burns? My guess is that you get it from outdoor types of shops? 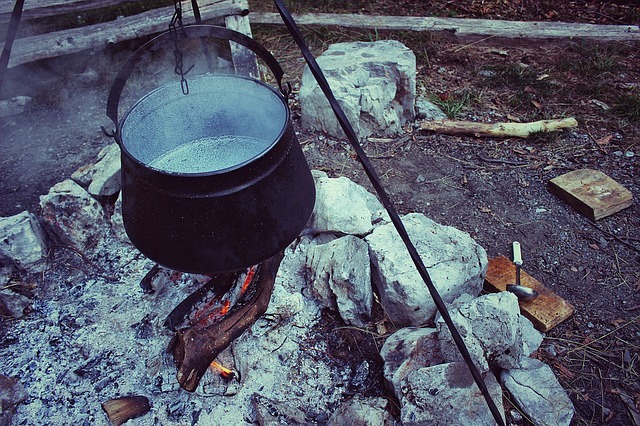 I love cooking food on the campfire as well, while sitting out in the wild and enjoying the nice cool breeze is simply amazing and something everyone should experience at least a couple of times in their life. You are correct, Cat. Red is the distress signal and used by many people to get their rescuers attention. They really need to teach this sort of stuff in school because a lot of people don’t know how to survive in the wild, they are essentially left on their own which shouldn’t be the case! Great comment, and thanks for sharing your thoughts. Great stuff! I think the self feeding fire is so cool… but it seems kind of hard to build if you don’t have a lot of time. Yeah, it is really a good idea if you want a more ‘hands-off’ experience. I would rather recommend it for someone that camps often or if you’ll be out there for days on end. This is a great website. You have many ideas that are great for campers. Our family spent a week camping and hiking along the Blue Ridge Parkway. We could have used your Doritos fire starter hack. We had 6 hours of torrential downpour one night. Needless to say, there was limited dry wood. I have not seen the self-feeding firepit. Looks like something we would use. Uhh yes, the Doritos hack is a great one and definitely good to use when you are out of kindling 🙂 I’m glad you found these helpful Jan, thanks for the helpful comment.